The term is well underway and so far, I would like to thank all of you for being supportive of the changes that is going on in school. Change is not always easy, and the recent changes are not easy for everyone. We are standing strong and tall and I have a strong feeling that this term will just be the start of an awesome year. I, as Headmaster, can’t do it alone so I need a team that will help me make Durmstrang the best that it can be. With that, I would like to formally welcome our new Heads of Houses to the Durmstrang Administration. 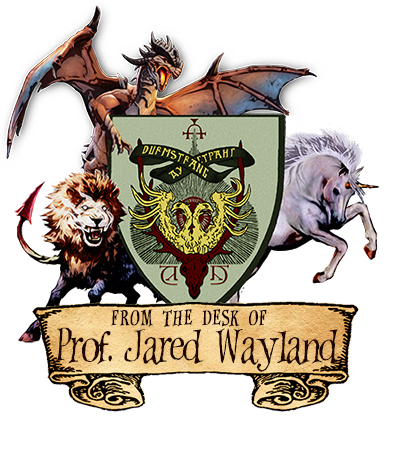 Prof. Markowitz had shown immense loyalty and perseverance in helping out the House of Niflheim and the school to reach the top. His writer is also a trusted friend of mine (IRL) and is devoted member of Niflheim, having served as the Deputy Head of House a few years ago and handled various other positions in Durmstrang and Hogwarts. I am sure that he will make the house proud with his fresh and genius ideas, to keep the house on top. Prof. Haugen has been a long-time affiliate of the House of Vanaheim, showing loyalty and house pride in every event that is handled inside and outside the school. He was also very proactive in making sure that things are looked after and is always ready to offer a helping hand and ideas that is valued by the administration. With that, he is now given the responsibility to take up the torch and lead his beloved house to greatness. Though Prof. Azarova just started teaching this term, her writer has proven to be an asset for the house of Ydalir, being a consistent student leader with her student characters and an active member of the house. She may be new to the team, but I know that she can keep up, if not get ahead of her predecessors. I trust that in her capable hands, the House of Ydalir will prosper and be the best that it can be. Let us all give a warm welcome our new Heads of Houses! Congratulations to you all! I wish you success! Thank you everyone! I hope indeed to build with Jared, Nina and Leander a bright and flourishing future to Durmstrang. After all in Homecoming we made it possible to win the cup. Despite the decline that was felt these last terms, it's an achievement for all writers who have done their best with their characters to be proud of this and not be forgotten. This achievement is a good foundation to believe in Durmstrang as a school for the rest of 2019 and beyond. Nina, you're one of the most dedicated people of Ydalir. Jared, I will help where I can. You'll make a great headmaster, surely riveling the spirits of old. By the way, I really like that emblem you used "from the desk..."
Edited by Prof. Amhlaidh Haugen, 13 January 2019 - 08:39 AM. Congratulations, everyone! You're all so deserving, and I'm sure you'll do the greatest things for Durmstrang.